West Town Alterations, Tailoring, Custom Apparel, Accessories & More! Same Day Service & Great Price! Need a Custom Fit? Need to look your best? Visit us today for that custom look your searching for..
30 Years of Master Tailoring Experience! All apparel from Suits to Ties, Shirts and Shoes. We have it all. We custom fit and make clothing to create your style from top to bottom; Whether it is the casual khaki look or professional business wear. Stop by today to check out our selection. Custom Tailored Suits at an affordable price! 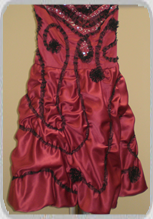 We custom style Wedding, Prom, and Formal Dresses for any occasion. 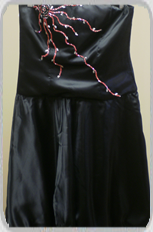 Stop by today to bring your ideas and we will custom fit the dress for you.